Beauty, innovation, comfort and energy savings all come together stylishly in the Four Seasons Heater Fan giving you the best of both worlds - enhancing your home's decor while increasing its energy efficiency! 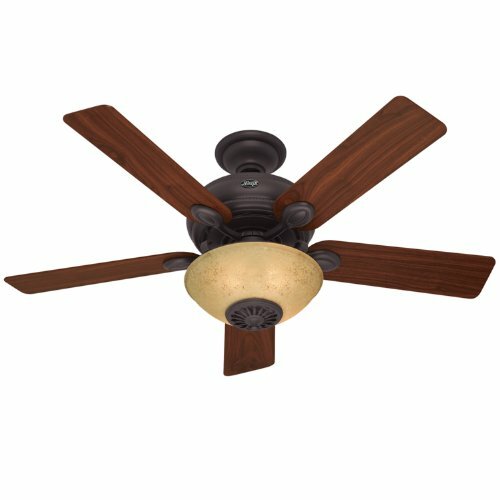 The Westover is unique among ceiling fans in that it features a 700-watt Illumi-Heat Lighting Fixture and PTC ceramic heating element that can keep your home feeling cozy during colder months. The aerodynamic design directs heat downward and the fan offers three-speed downdraft and updraft options. Also, the blades help circulate heat evenly throughout a room, helping to prevent cold spots and to lengthen the time between each heat cycle. Designed with homeowners in mind, this fan features Hunter`s patented EZ Hang Mounting System, which makes installation simple and safe. And the Westover installs just like a standard ceiling fan with no dedicated circuit required. 52-Inch Hunter Westover Ceiling Heater Fan with 3 speed downdraft options and 3 speed updraft options for heat reclamation. 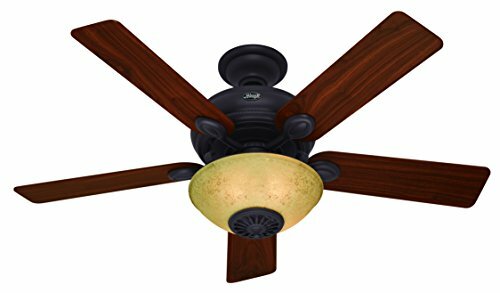 Ceiling fan blades help to evenly distribute heat throughout the room.